Yes, you read that right. Uncanny Magazine has been nominated for the Best Semiprozine Hugo Award! Additionally, one of my favorite stories from 2015, “Folding Beijing” by Hao Jingfang (translated by Ken Liu) from Uncanny Issue Two, has been nominated for the Best Novelette Hugo Award, making it the first translated work to be nominated in this category! A complete list of the 2016 Hugo nominees can be found on MidAmeriCon 2’s website. As Uncanny’s managing editor, this means I’m now nominated for my very first Hugo Award. More shockingly, it seems that I’m joining the incredible and talented Alyssa Wong (who is a nominee for the Campbell Award for Best New Writer) this year as the first Filipinas ever nominated in any category for the Hugo Awards. I’m still having a hard time processing this. It’s an incredible honor and I’m so, so thankful to everyone who has subscribed to, read, shared, and supported Uncanny in more ways than I can think of. Working with Uncanny‘s team of amazing Space Unicorns has been beyond my wildest dreams: Lynne M. Thomas & Michael Damian Thomas are the best Editors-in-Chief I could have ever asked to work for, and I’m grateful to be among fellow staff members C. S. E. Cooney, Amal El-Mohtar, Deborah Stanish, Julia Rios, Erika Ensign and Steven Schapansky, as well as our fantastic team of Submissions Editors, which includes my husband, Jesse Lex. I wouldn’t be able to do this without his support. 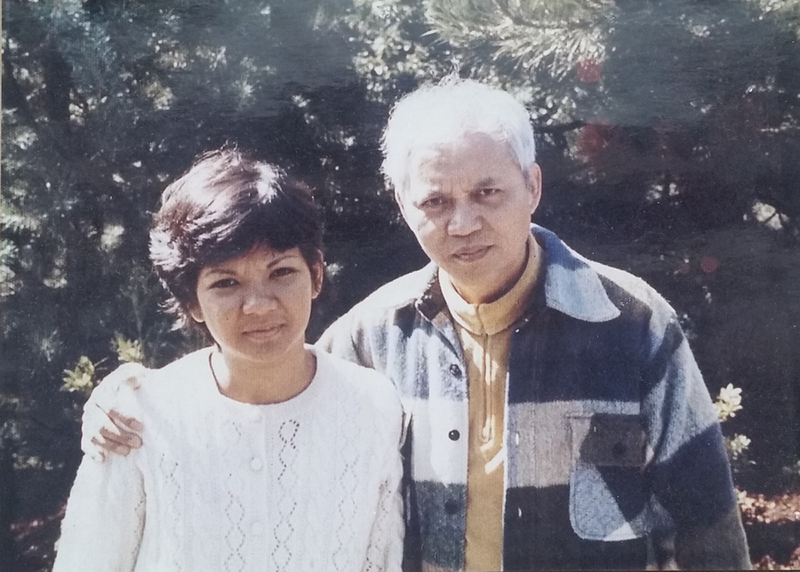 Being one of the first two Filipinas ever nominated for the Hugo Awards in their 60+ year history is such an incredible honor, not the least of which is because of what I think this would have meant to my parents. I’ve been a fan my whole life, science fiction and fantasy were what I grew up with because both of my parents were huge fans. Both immigrated to the US before I was born (they actually met in Chicago), and watching movies like Star Wars and watching Star Trek and reading the likes of Tolkien, Herbert, and superhero comics played a huge part in assimilating our family into US culture. As I noted on Twitter, it seems appropriate that becoming a part of fandom over the last few years has played a large part in my reconnecting with my ethnic roots. I’d like to think they’d have appreciated that symmetry. August might seem like a long way from here, but it’ll arrive faster than we think. I hope. Patience isn’t one of my virtues. But in the meantime, THANK YOU SO MUCH to Uncanny‘s Space Ranger Unicorn Corps of fans, readers, and supporters! I’m so happy that our magazine brings so much enjoyment and fantastic SFF to the world, and being nominated for a Hugo Award is that much more motivation and inspiration to do more! Am also cherishing the hope that @GeekMelange will spin fire whilst accepting @UncannyMagazine's Hugo Award. This entry was posted in Culture, Fandom and tagged Best Novelette, Best Semiprozine, Hugo Award, nomination, Uncanny Magazine by Michi Trota. Bookmark the permalink.